With warmer weather, everyone is taking to the water whenever they get a chance. For Boston, that may mean learning to sail at the Community Boating, Inc. on the Charles River Esplanade. Or for those interested in getting a workout, traveling up the Charles to Community Rowing. Some will rent or go out on a friend’s powerboat docked around the greater Boston Area. While boating can be a lot of fun, it can also be dangerous. According to a recent news report from My Fox Boston, a woman suffered a serious personal injury in a boating accident in Boston Harbor and suffered amputation of her arm. Witnesses say the female victim fell overboard and landed in the water. Her arm hit the propeller, which was spinning at the time she fell into the water, and it cut off her arm. The victim was 19-years-old. The accident occurred just before 8 p.m. Someone on the boat immediately called for help, and, when the United States Coast Guard arrived on the scene, they found other people already in the water trying to help the seriously injured woman. When rescue swimmers hit the water, they were able to get the woman on board their boat and worked to stop the bleeding. After getting the wound as stable as they could on the water, they immediately rushed her to Massachusetts General Hospital (MGH), where she was listed as being in critical condition with life-threatening injuries. The boat was named “Naut Guilty,” according to authorities. 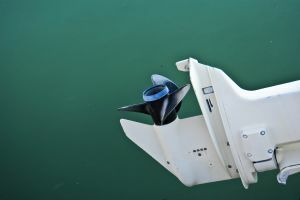 Coast Guard personnel interviewed the 33-year-old boat owner and suspected he might have been under the influence of alcohol at the time of this serious personal injury. Boston Police arrived and performed sobriety testing on land and placed him under arrest for operating a boat under the influence of alcohol. He was released from a holding cell at the Boston Police Department (BPD) station and given a date to appear for his arraignment at the Boston Municipal Court. Police also say this same defendant was cited last month in connection with a bar he co-owns in Boston, where 13 minors were allegedly served alcohol. This resulted in nine counts of furnishing alcohol to a minor. It is important to note, defendant has not been convicted of any crime at this time related to serving underage persons at his bar or boating under the influence of intoxicating liquor, and these are only allegations. He is presumed innocent unless and until he is found guilty in a court of law. Our Boston boat accident attorneys urge everyone to stay safe on the water this summer. Never get on a boat where the operator is intoxicated or drinking. You should also make sure there is Coast Guard approved safety equipment on board, and all equipment is at an easy to reach location and has been recently inspected to make sure it is all in working condition. It is especially important to make sure all flares are not expired and all fire extinguishers are fully charged and have been inspected within the time period required by law. If you are injured in an accident in Boston, call the Law Offices of Jeffrey S. Glassman for a free and confidential appointment — 1-888-367-2900.